One in eight women in the United States will develop a thyroid disorder sometime in her life—and the number of thyroid disorder cases is steadily rising each year. But the bigger problem is that almost 60 percent of these people have no clue that they have a thyroid condition and do not know where to start looking for answers. People quickly turn to diet plans and medication to clear their mental fog, boost their energy, and lose weight. However, all of these treatments will not work unless people are educated about their underlying thyroid issue and how to fix what is really going on. 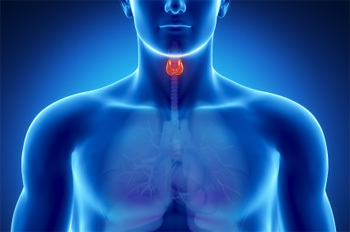 The thyroid gland is a butter-fly shaped gland located at the base of your throat. This gland plays a part in your endocrine system and is responsible for making sure your body uses the right amount of energy at a specific rate by secreting a hormone that helps regulate your metabolism. When there is a problem with your thyroid gland, your metabolism may burn energy very fast, or not fast enough, which can develop into complications. Fatigue, weight gain, hot/cold sensitivities, and rapid heartbeat symptoms can all stem from an over or under-active thyroid. Hypothyroidism, also known as an underactive thyroid, is a condition in which your thyroid gland is not able to produce enough of specific hormones important for function. Hypothyroidism disrupts the natural balance of chemical reactions in your body. Without proper treatment, over time, hypothyroidism can lead to many health complications such as obesity, joint pain, infertility, and heart disease. Women, especially over the age of 60, are more likely to have hypothyroidism than men. Hypothyroidism can be caused by Hashimoto’s Disease, which is an autoimmune disorder in which the thyroid gland is attacked by a variety of cell and antibody immune processes. Other causes of hypothyroidism include other autoimmune disorders, thyroid surgery, pregnancy, radiation therapy, and medications. If left untreated, signs and symptoms of hypothyroidism can slowly get worse. It is extremely important to seek proper treatment to avoid damage. Hyperthyroidism, also known as an overactive thyroid, is a condition in which your thyroid gland secretes an excessive amount of the hormone thyroxine. Hyperthyroidism can make your body’s metabolism run too fast causing sudden weight loss, a rapid or irregular heartbeat, sweating, and nervousness or irritability. Multiple conditions including Grave’s disease, toxic adenoma, Plummer’s disease, and thyroiditis, can develop into hyperthyroidism. It can be dangerous if hyperthyroidism is left untreated, so it is important to speak to your doctor if you are having any signs or symptoms of hyperthyroidism. If you or a loved one is experiencing signs and symptoms of a thyroid disorder, contact our office today. We have many tests that can help determine what disorder you may be experiencing and work together to create a treatment plan.